The four-time Major champion gave the tournament a new lease of life after assuming the role of host in 2015, helping to bring in Dubai Duty Free as sponsors in a lucrative deal. McIlroy subsequently won the event in 2016 with a sensational finish at the K Club, and always been the biggest draw at the tournament. 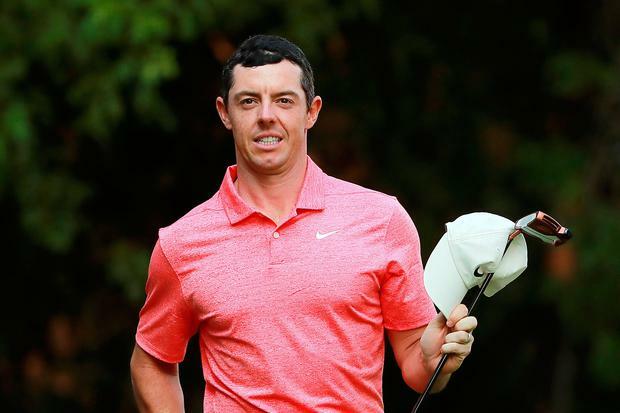 However, last week the 29-year-old announced that he will miss the edition in Lahinch this summer, instead focusing on the Open Championship at Royal Portrush. McIlroy's decision drew a mixed response, with many Irish golf fans disappointed that he won't be taking part. However Lowry, who won the event in 2009 as an amateur, defended McIlroy on Game On on 2FM tonight, saying that the tournament would likely no longer be in existence without his contribution. "People have short memories," Lowry said. "I'm not sure there would be an Irish Open if it wasn't for Rory. He doesn't really owe the tournament anything. I saw one article in particular last week and it was disappointing what was said. Anyone involved in golf in Ireland who knows anything about golf won't have a bad word to say about him not playing. "I had dinner with him last week and he explained it to me. The Open Championship this year is probably the biggest tournament he will play in his career in Royal Portrush. He feels that he has to prepare for that the way he needs to. "I definitely don't have a bad word to say about him not playing and it will definitely still be a great tournament down in Lahinch." Dermot Gilleece They're doing some serious spring cleaning down around Lahinch these days. In fact, local endeavour is positively transforming the West Clare resort in preparation for what is being viewed as a once-in-a-lifetime chance to shine.